Veni, vidi, vici! I came, I saw, I conquered! This conveys the exhilarant feeling one gets when visiting Italy. There is so much to see and so much to do that after a vacation in the land of the Roman gods your views on life will just not be the same. The breathtaking landscapes and vivid marine scenery will sweep you off your feet and make you forget everything else. 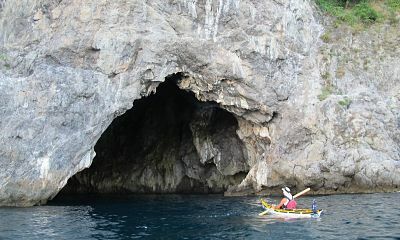 One of the best things about Italy is that you can combine leisure and active sightseeing. Travel the coast by boat is the greatest way to enjoy the sunshine while exploring the landmarks and natural bliss of nearby cities and villages. Your choice of sea is far from limited. Italy is encompassed by three prominent bodies of water ‑ the Adriatic, Ionian, and Tyrrhenian Seas. 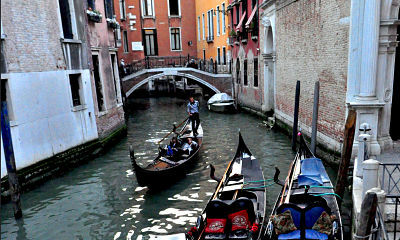 The first stop is naturally Venice — one of the most romantic spots in the world. Perched on the Venetian Lagoon in the form of numerous small islands interconnected by canal bridges, “Queen of the Adriatic” is just one of its many names. Although the tourist interest in the region has marred some of the charm of this Renaissance pearl, the spirit of Venice remains untouched. It is a fusion of history, art, and nature, all whispering the magic of ancient times. While winters in Venice are quite windy and cold, summers are a true ecstasy, presenting perfect conditions for boating adventures. And what an adventure it is to travel the Venetian Lagoon on a beautiful yacht or a small coquette gondola! You can marvel the beauty of Piazza San Marco, the Doge’s Palace, and the baroque buildings dating back to the Renaissance, or extend your trip to the tiny yet splendid islands of Torcello, Burano, and Murano in the north part of the lagoon. Some boating services also offer on-board barbeque or seafood experience, as well as directions for boating gourmet excursions with outlined stops in exquisite local restaurants waiting to bestow the gift of palatal delight on you. A little to the south of Venice lies the picturesque town of Rimini, a small sea jewel whose coast bathes in the waters of the Adriatic Sea. Similarly to the Venetian climate, Rimini has the advantage of mild weather with warm summers and extremely pleasant spring and fall temperatures. The Renaissance touch can be felt everywhere in the city, while being the hometown of the famous director Federico Fellini puts an inevitable emphasis on Rimini’s artistic manifestations. Tiberius Bridge and the Arc of Augustus are among the notable landmarks not to be missed. Rimini boating experiences can take you as close as the Venetian Lagoon and surrounding landscapes, and as far as the Croatian coast and its magnificent Riviera. 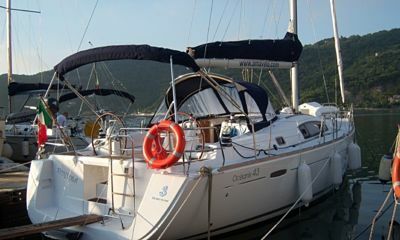 The local port offers a great variety of yachts and speed boats which can be rented for unforgettable Adriatic adventures. Since the area prides itself with the long and wide sandy beaches, sailing and sun bathing can go hand in hand. Evening walks and dining near Rimini’s port present a fantastic sunset picture as the numerous boats return from sea for the night. inters and dry, sizzling summers. 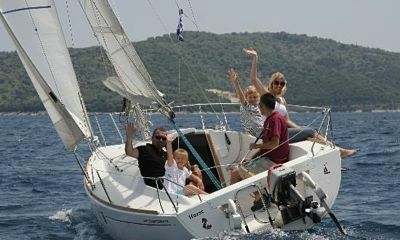 Boating options include local sailing on the Sicilian coast where you can enjoy the sunny days in the background of the fabulous Ionian Riviera, and longer cruises to the Ionian Greek Islands of Zakinthos, Argostolion, and even Corfu. A popular destination from the Syracuse port is also the Maltese archipelago, a cluster of small yet impressive islands in the Mediterranean Sea. Go further northwest and you will find Naples, one of the best boating spots in the Tyrrhenian Sea. The city is one of the largest in Italy and a monumental representation of Roman and Greek styles dwelling in one place. There are plenty of piazzas, museums, and monuments worth visiting in Naples’s historic district, a UNESCO World Heritage Site. The climate in the region is extremely mild and pleasant, although the summers tend to get a bit dry. A lucrative solution for the hot weather is a boating experience along the west Italian cost. Naples’s boating services make trips to Civitavecchia (only a short distance from Rome). For longer voyages, cruise to Livorno or to one of the Tyrrhenian islands of Corsica and Sardinia. Bordighera is a resort city located on the Italian Riviera near the French border and the most popular Italian harbor on the Mediterranean. The proximity to France has casted a mild influence on the resort, transforming it into a splendid amalgam of French and Italian traditions. The climate in the region is pleasantly mild with hot days suitable for all kinds of water activities, followed by chilly nights when one can cool off and take a break from the heat. A wide range of water vehicles are available on the docks of Bordighera going along the Italian coast and islands, or in the opposite direction to the finest French resorts. 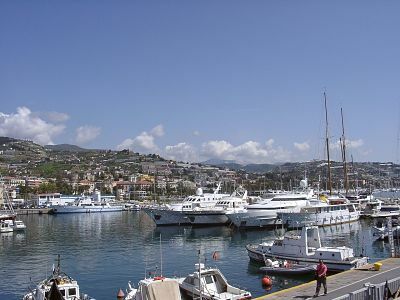 You can rent luxurious yachts and powerboats and visit the flourishing city of Nice or meet movie celebrities in Cannes. In case you have plenty of time on your hands, a lengthy cruise from the first Italian port on the Ionian Sea to the last on the Mediterranean one will grant you a fantastic vacation with a touch of history, art, culture, and gourmet cuisine, and memories to last a lifetime. So go ahead — veni, vidi, vici!